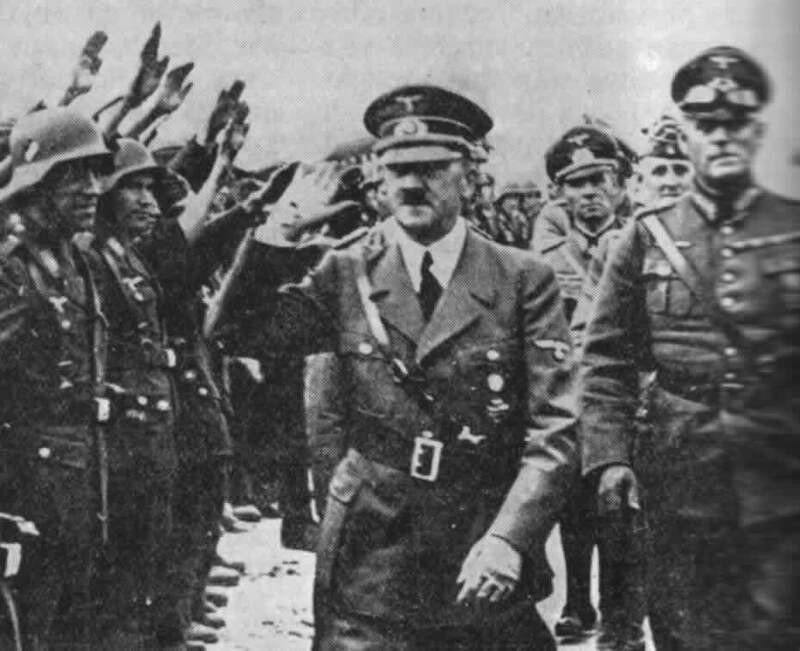 Adolf Hitler was the leader of the German government during the Great Depression and World War II. He was born in Austria on April 20, 1889, but joined the German army during World War I. He was a corporal at the end of the war. Shortly after that he joined the National Socialist (Nazi) Party, which at the time existed only in Munich and had a tiny membership. Hitler became the leader of the Nazi Party, which became the largest party in the Reichstag (German equivalent of the U.S. Congress) in 1932. Hitler was appointed Chancellor in January 1933 and quickly made himself the virtual dictator of Germany. He died on April 30, 1945 in Berlin as Russian troops approached the city. Hitler is best known for: restoring the German economy; establishing a totalitarian, police state; capturing most of Europe during World War II; and physically exterminating people he believe to be his enemies. Although Italy's Benito Mussolini was the first modern fascist, most people associate the word "fascist" immediately with Adolf Hitler. This page contains links to articles on or mentioning Adolf Hitler by William P. Meyers, as well as links to information off-site. "I am now as before a Catholic and will always remain so." — Adolf Hitler, to General Gerhard Engel, 1941. See more proof at Adolf Hitler on Christianity: Quotes.